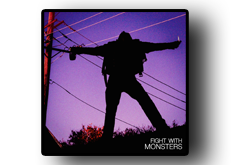 Fight With Monsters - "Fight With Monsters"
Click Here to see to Steph's music video Western Sky. Click Here to download "Opt Out" for free. Click Here to hear Mildly Intoxicated's brand new album Man With One Leg. 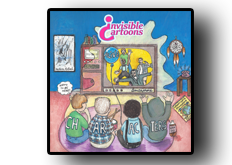 Click Here to listen/purchase Chris Darby's 2015 release "Instructional Songs for Quality Living"
Click Here to see Invisible Cartoons' new music video for their single "Jackson Pollock". Click Here to listen/purchase Chris Darby's 2014 release "Cabin Songs"
Click Here to get a free download of Invisible Cartoons' single "Who Do"
Invisible Cartoons debut album "Characters" is a musical explosion of joy and exuberance, music you can’t help but want to dance to. 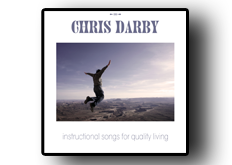 Chris Darby's 2015 release is an inspired and uplifting album recorded in a single 9 hour session. Musicians include Andru Bemis and Charles Murphy. 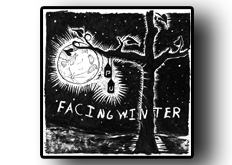 On their latest release Facing Winter brings you intense, melodic, rock accented by progressive and psychedelic influences. Dancers of all types join forces in Invisible Cartoons' newest music video. Invisible Cartoons dares you not to smile while watching this catchy throwback. Strobe lights and smashing phones! Why not take a moment to "Vote Batman"? Stuffed animals tell the story in Chris Darby's single "Darkest Days"
Invisible Cartoons performs "A Catastrophic Atmosphere" live and acoustic for NPR's Tiny Desk Contest. Steph Yeager's foot-stomping single "Western Sky". It’s zombies vs. Facing Winter in this bizarre adventure where music and table tennis grant respect, and frisbees are deadly. An intimate live performance of Facing Winter at their best. Facing Winter covered this song for a tribute album, “Them Damn Kids: A Retrospective Performed By Friends”. Website and content copyright 2003-2015 Justin Birchard, Jeff Goluszka, Chris Shern, Chris Darby, Stephanie Yeager, and Bradley Jewison. All rights reserved.